A healthy, green lawn starts with the right care and maintenance. This guide will walk you through prepping your soil, how to sow your grass seed and tips for overseeding as well as feeding. We'll provide some tricks for spreading your seed, overseeding, and choosing the right topsoil depth. 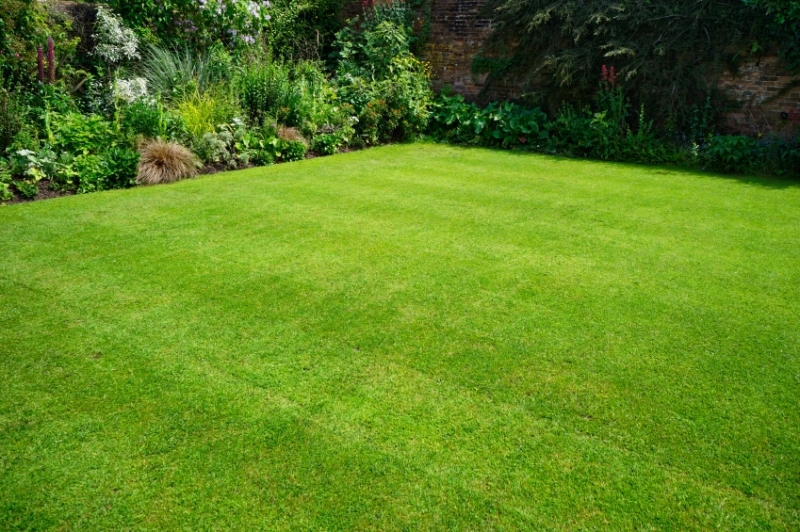 With this guide, you’ll be the proud owner of a lush green lawn in no time! The best time to seed your lawn is in late spring (mid-May to late June) or in the early fall (mid-August to mid-September). Avoid seeding in summer due to drought conditions. The first thing to do before planting is to prepare your yard for seeding. A healthy lawn starts with a healthy root system, which means you’ll want to start with a minimum of 8 inches of topsoil for your grass to establish its root. Make sure your topsoil is level to minimize low areas and depressions that can lead to wet areas that can drown out or cause winter kill in your lawn. Prepare your soil for seeding by raking until it is reasonable fine. It is best to work your soil when dry to avoid creating hard lumps and soil compaction. Spread your grass seed evenly at the recommended rates according to the mix you are sowing. Spread half your seed in one direction, then the other half working in a different direction to apply seed evenly and avoid any missed patches. After you’ve finished seeding, mix your seed with the topsoil using the backside of a rake. It’s important to not overdo this step. Planting seed too deep will lead to poor emergence (germination). Your seed should be mixed shallowly in the soil, no deeper than 1/8 to 1/4 inch. Once you’ve sown and mixed your seed, used a light lawn roller to pack the soil. Your soil should be kept moist but not overwatered. Too much water can lead to disease and rot in your emerging seedlings. In extreme cases overwatering can washout your lawn and lead to seed runoff. A lawn that is dense and well fed will give best results. Overseeding patches of your lawn that are bare or thin will help improve appearance. To help increase the population, using double the normal seeding rate is recommended for overseeding. If in doubt, a trick is to mix your required seed amount with four times that amount of topsoil and spread the mixture over the area in question. After that, follow rolling and watering instructions until your grass has established. Feeding your lawn every year with a recommended fertilizer program will help maintain your green, healthy lawn. Spring fertilizer will help with lawn green up, summer mixtures will maintain lawn health during the hottest months and fall feed will help reduce lawn stress as winter approaches. For all your lawn seeding needs, from seeds, soil and fertilizers, to tips and advice, visit the Country Basket Garden Centre today!